Have you ever had one of those days/weeks/months where you just feel like you are not the teacher you always dreamed you'd be? Maybe you just had an evaluation and received less than desired scores? Maybe your students just took benchmarks and didn't make the growth you hoped for or expected and feel like its your fault? Maybe there's been a big change in your personal life and you aren't giving as much time or energy to teaching like you used to? 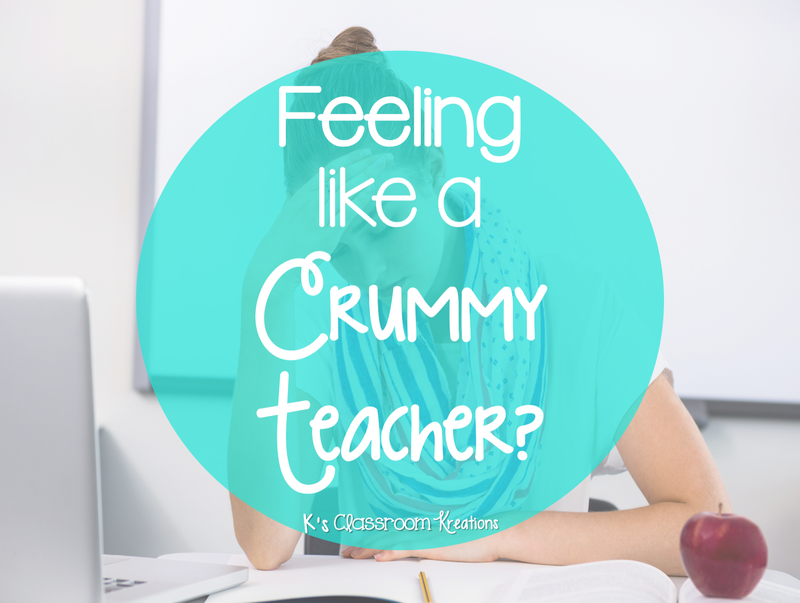 Maybe your class is full of wild children, who despite being great one on one and your usually awesome classroom management....are a total hot mess when under the same roof? If any of these situations are ringing some bells, first, I want you to stop and think about these next few words carefully. I have so been there...in EVERY one of those situations at some point in my career. 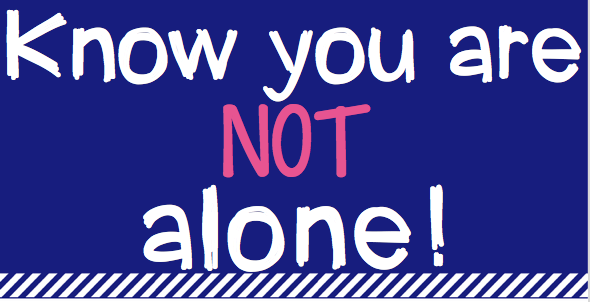 Whether you are a first year teacher struggling to live out your dream job, or a veteran teacher who just can't get into the swing of things one day (or lots of days), know you are not alone. Teachers with all different years of experience and expertise have times when they feel this way. In fact, if you were to poll your staff, I'd bet at least a few hands would go up at every meeting. Maybe there's a team mate you are close with and could confide in? Chances are, they would open up with you too. It's nice having someone to talk to who understands. If you don't feel comfortable talking to someone at school (and your family may just not get it), I have also found that there are some Facebook groups online dedicated to teachers. Try searching your grade level or specialty area to see what shows up and request joining. I promise, it's not creepy to ask to join- that's why they are there! Being able to relate to so many people helps to make the process not feel so lonely and overwhelming. Plus, you may find that you are even able to offer up advice from your own experiences. 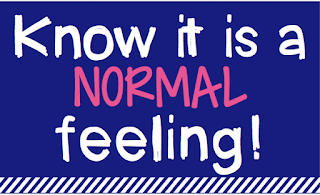 Okay, so wanting to go home and cry everyday, or feeling so frustrated you want to quit really doesn't feel like a good thing or normal, believe me, I know! But if you can try to get to the root of the feelings, it may be helpful in the end and a good thing overall. 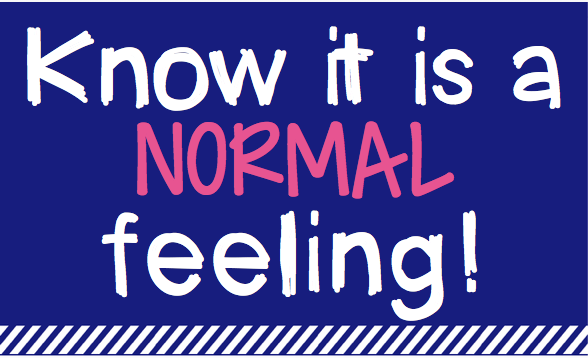 The feeling that you can and should do more for your students is one that every teacher feels. The fact that our teacher brains never turn off is often just part of the job. Our love for our students, our hopes for their success, and the pressure put on us is unmeasurable, especially for those not in the classroom trenches with us. The fact that you are brought to tears over how much you want to do better, is often a sign of your commitment to the job and your students. You belong there. This is what you were meant to do. Whenever I have a teaching breakdown I try to learn from it. Sometimes all I need is a little fix like to take better care of myself so I am not so tired/hungry/cranky the next day and life magically feels a whole lot better. Sometimes venting to someone really helps. Other times, I need a much bigger fix. 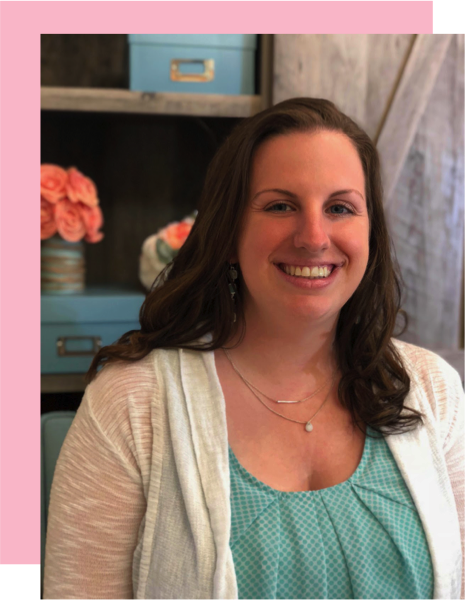 If you are feeling like you just can't get into the routine of things, ask your instructional coach to come spend some time in your classroom or to model a lesson. Ask your administration if you could go observe another teacher who seems to be excelling in a particular area. NOTE, when you do this, try not to get in your own feelings. Asking for help does not mean you CAN'T do it yourself, it just means you might find a different way of trying that could help. I'll be honest, asking for help is not my specialty. I pride myself on being the one people go to, but I ALWAYS get something good out of it when I do "cave" and ask. It's worth a try. Plus, when you request the help it looks better than it being forced on you, in my opinion anyways. (And if it is forced on you, see what you can learn from it and try to have faith that someone in your school sees your potential and wants to help you learn). My usual answer to any problem or question I am having is "Google it!" For real though, google it! Search for tips online, products that may help, or blog posts from teachers who get it. Their advice could set you on the right track and help you make a plan. Maybe you just need to set aside extra time to critically look at your data and reflect on it. Have faith that you have the skills to analyze the situation and make improvements when you dig deep and be honest with yourself. How could you implement a few skill groups or small groups to reach those kids? Is reworking your schedule or routines (even mid year) going to help? Could you partner with another teacher for some lessons? Sometimes, you just get to the point where you know what's happening.... just isn't going to work for you anymore. You have talked to others, you've made changes, you've reflected....and it's still not working. When I got to this point (after a year plus of feeling awful), I decided to leave my school and change counties. My change was a drastic one but I knew it was right for me. It may or may not be right for you, either way you have to remember that your own well being is important and it's ok to follow your heart. All of the feelings of betraying my staff and former students flooded me with teacher guilt, the worst kind, but I had to get over them. Is the grass always greener somewhere else? Nope! But thankfully for me, the change is exactly what I needed. I had learned from my past experiences about what exactly I needed in a new school, specifically an admin that would be in the classrooms and was knowledgeable about curriculum, a supportive team with a family feel throughout the school, and opportunities to grow as an educator. Now, I am NOT saying that when you have a bad day or even a few weeks, you should uproot everything and move. Like I said, teaching certainly isn't going to always be easier or better somewhere else. The job is hard! Even at my new school I still have breakdowns, but at least now I have a supportive administration and incredible team to help me get through the tough times. In fact, last year was my most challenging class yet and I constantly questioned things. However, I vented, reflected, asked for help, and made small changes to help get through the year. So what kind of change could you make? Maybe the small changes to your classroom routines, venting to other teachers who understand, asking for help, and/or getting some Professional Development are exactly what you need to get back on track! Perfect! This is the ideal situation. Maybe job sharing is an option if you are just really called to spend more time elsewhere? Maybe try switching grade levels but staying at the same school? Maybe trying moving somewhere else? Maybe try going back to school to add certifications like Special Ed, Reading Specialist, or something else if that's where you are lead? 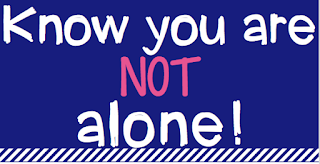 However you decide to move forward, most importantly, I want you to know that you are not alone! EVERY teacher has felt less than perfect at some point in their career. Hang in there and know your commitment to your students is making a difference. If I can do anything to help, I would love to be here to support you! Leave a comment or email me at ksclassroomkreations@gmail.com if you just need a listening ear. What happens when you don't have a supportive admin? Hi Teresa! For me, when I didn't have a very supportive admin it felt like getting anything done was just so much harder. As teachers we have so much pressure as it is, it was important to me that I felt respected, understood, and like someone had my back. Instead, I had to depend on a few close coworkers to get through the tough times (for whom I am very grateful for). However, I just got to the place where I realized how important admin are and that their level of support sets the tone for the school. I decided to switch schools and as much as they were interviewing me, I was really looking for a better fit myself during the process. Thankfully, I found a school where admin is beyond supportive and I am pushed as an educator to grow. Of course we still have tough times as a school, but the environment makes all of the difference! Awesome guidelines that will help me to be a perfect teacher, following the best practices. Thanks for sharing. You are so welcome! Just keep in mind no one is perfect ;) but we can strive to do our best each day!